Why is the Music Process Still Such a Mystery to Advertisers? When it comes to making a commercial, the right music has the power to transform and greatly magnify the overall success. Whilst many in the industry recognise how crucial the right music is to the effectiveness of an ad, it continues to be an area in which many brands and agencies find themselves tangled up and in a bind at the last minute. Q> Why do you think the music process is still so hard for people the wrap their heads around? What Should We Look Forward To In 2018? LBB The Influencers: Should Brands Have Control Of Creative Execution? MCA Founder Pat Murphy had a conversation with Little Black Book about benefits and drawbacks of brands working directly with independent suppliers. 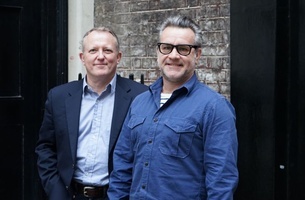 Today Little Black Book (LBB) and Murphy Cobb Associates (MCA) have announced the launch of Creative Intelligence, a unique global solution that supports a streamlined direct-to-client creative approach.